Jonas Fliegt zum mono is a simple book converted into an ePub by WITS Interactive for the publishers 'Ars Edition'. WITS Interactive created a simple ePub with basic functionalities as required by our client. 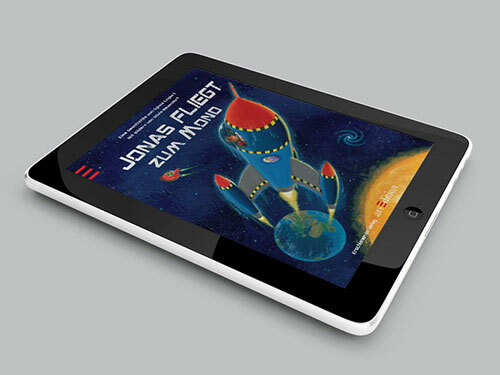 Jonas Fliegt zum mono is a bed time story book that is converted into a basic iPad eBook. It is an attention-grabbing book and converting it into an ePub has simply enhanced the reading experience for readers. We included the feature of read aloud along with sentence highlighting. This would help grab the attention of the reader. Learning and pronunciation is an added advantage that is acquired through these features. We catered to the client needs as required and successfully implemented the ePub.